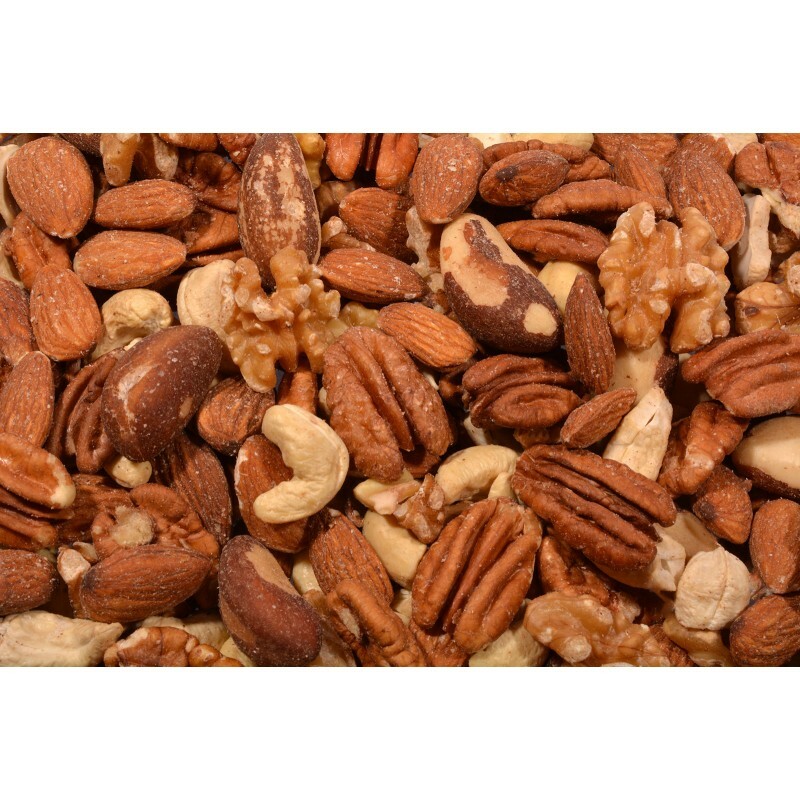 Raw Nut Mix - Pecans, Almonds, Walnuts, Cashews and Brazils-1 lb. Raw Nut Mix - Pecans, Almonds, Walnuts, Cashews and Brazils. Select from 1 lb. Raw Nut Mix - Pecan Halves, Almonds, Walnut Halves & Pieces, Cashews and Brazils.